Coming as the fourth edition, ‘EP4’ stays true to the series, committing Defected’s biggest digital releases to wax, and delivering upfront packages of house heat previously unavailable on vinyl. Opening up the A-side is garage legend and Grammy Award winner Todd Edwards with ‘You’re Sorry’, where his chopped-up vocal sampling, pitch shifts, and kick drums combine to create a track with true groove. Up next is underground gem ‘Space & Time’ (Extended Vocal Mix) from Dario D’Attis featuring Jinadu, a record that presents grooving house excellence. The B-side continues to deliver the goods, opening with Low Steppa’s Defected debut, ‘You’re My Life’, a guaranteed summer weapon for 2019. Rounding off the vinyl release is Austin Millz ‘Broke Boy’, where the Harlem born artist showcases his genre defying style, with vocals provided by Claire Ridgley, making a reflective and serene closure to this release. When Simon Dunmore heard Horse Meat Disco drop ‘The Spirit’ at Glitterbox in Ibiza last summer he immediately needed to know where and who the track came from. 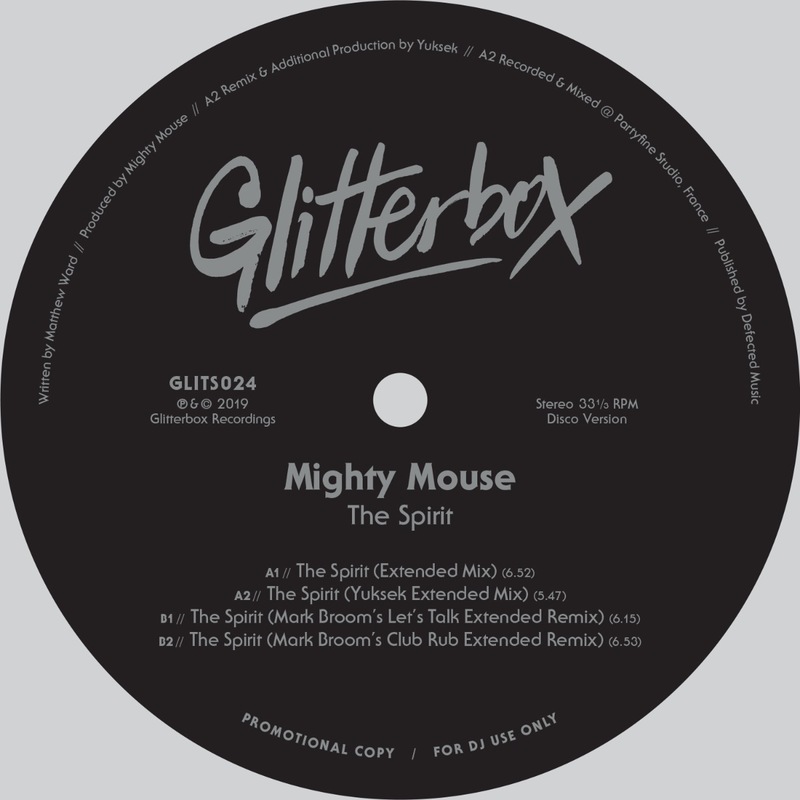 It’s no surprise that Mighty Mouse’s style of production was a good match for Glitterbox, with his reputation of delivering high energy, eclectic, disco infused sets. 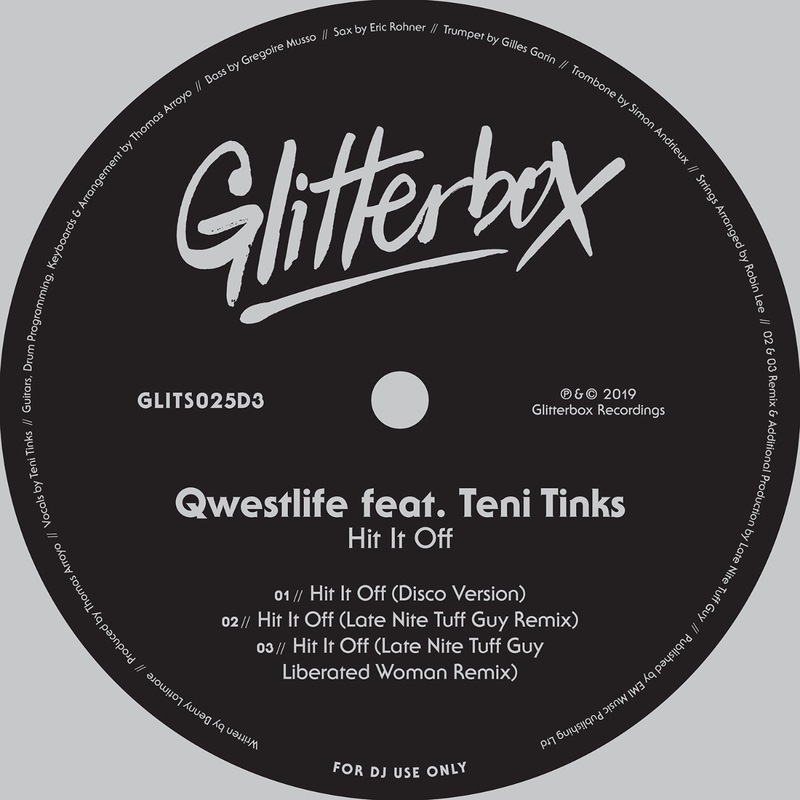 The track went on to become Annie Mac’s Hottest Record and has been on heavy rotation among all discerning disco DJs. Now this rugged party starter has its long-awaited vinyl release, with an exclusive remix from Partyfine boss and French maestro Yuksek keeping it company on the A-side. 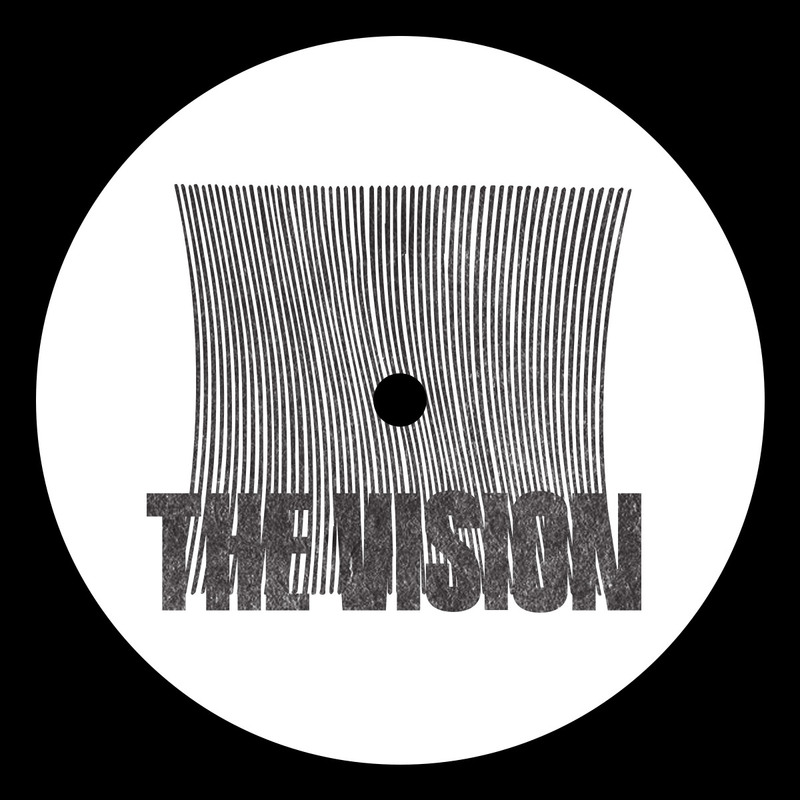 On the B-side are two huge remixes from UK techno titan Mark Broom, bringing new depth to the disco original. Introducing this first look at The Vision; a Bristol Boston collab with a locker of funk ready to go. Dusted up from endless years digging this pair of record enthusiast’s productions are full of the flavours of original disco and soul. This debut outing sees the pair dive deep into their record collections and add their unique stamp on personal house & R’n’B classics. 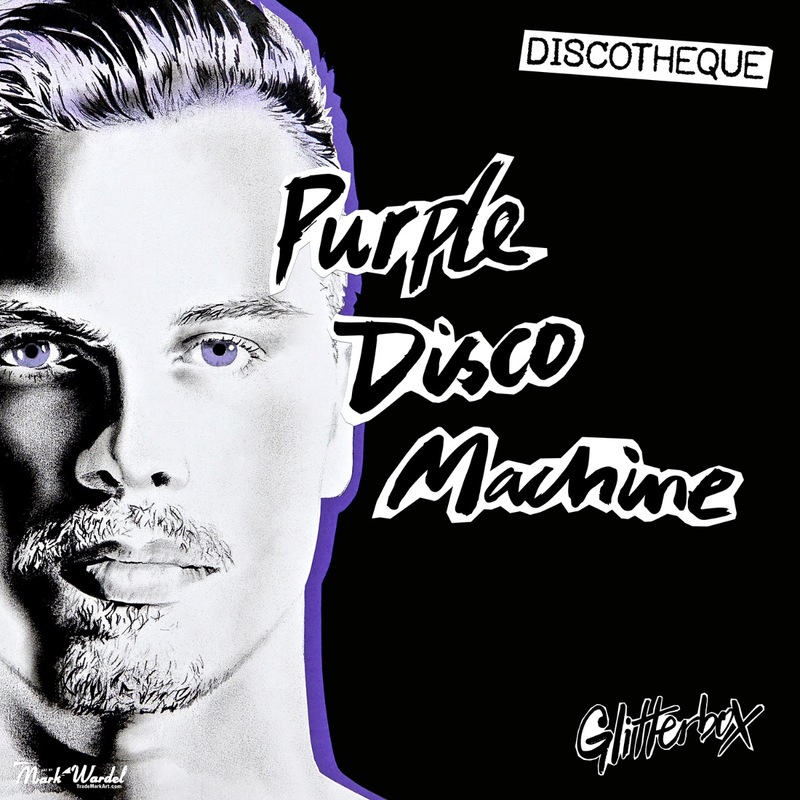 Glitterbox is proud to present Purple Disco Machine’s debut compilation, Glitterbox – Discotheque. A leading light of contemporary disco and a key resident for the nightlife phenomenon’s internationally renowned parties, Tino Piontek aka Purple Disco Machine has distilled his acclaimed headline DJ sets into two mixes, ‘Purple Disco Day’ and ‘Purple Disco Night’. 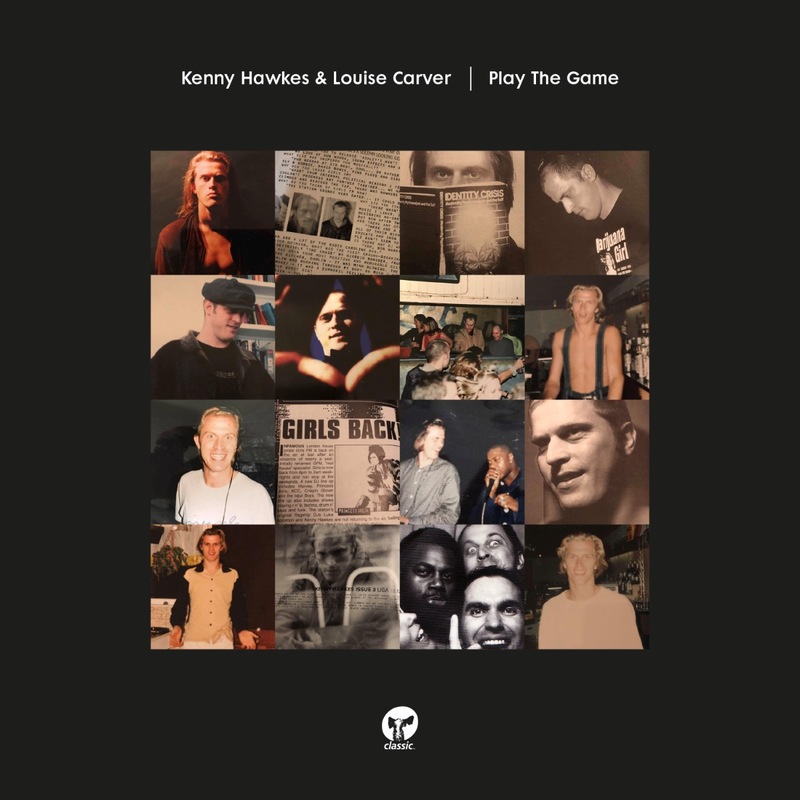 This LP format of the compilation combines some of the harder to find classics and current club tracks that featuring on the CD release. The fifth edition of Defected’s vinyl series EP5 commits Defected’s biggest digital releases to wax, delivering upfront packages of house heat previously unavailable on vinyl. 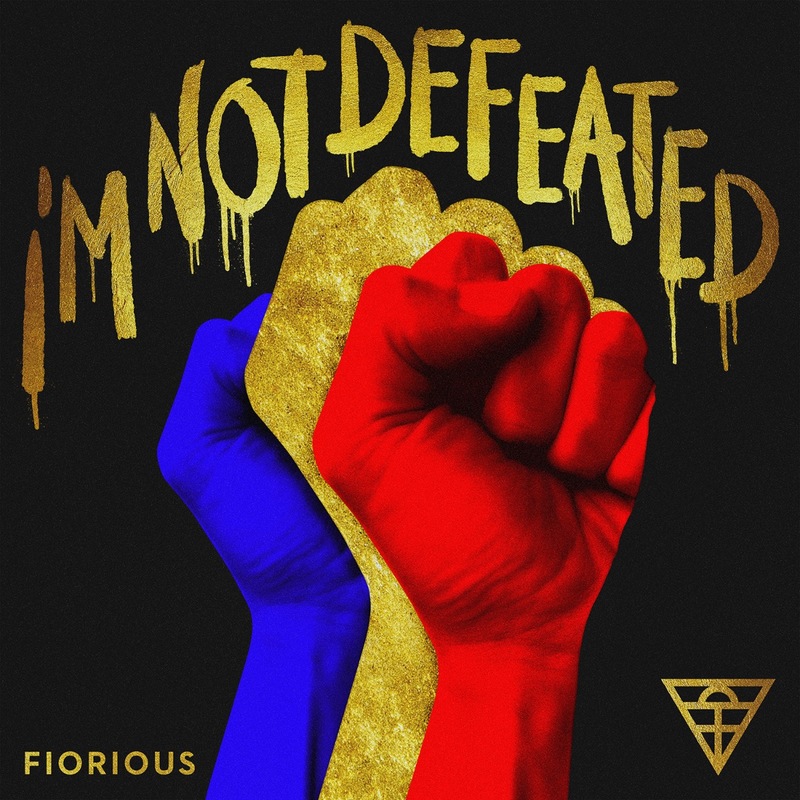 This springtime release delivers all the summer stompers you need on your sound system, with the A-Side featuring Ferreck Dawn, Robosonic and Nikki Ambers’ ‘In My Arms’ and Mat.Joe and Kid Enigma’s ‘Get Loose’ – two sure-fire party starters. On the flip, the B-Side features two records from man of the moment OFFAIAH, first up is his collaboration with vocalist Cat Connors ‘Somewhere Special’, where the Las Vegas based artist delivers a deep, rolling bassline and tension-building drops. Up next is his 2018 smash ‘Push Pull’, another record ready to set the club alight this summer and beyond.